Sometimes you might forget a pot on the stove. Or perhaps you occasionally forget to turn the stove off. As a result, your once spotless stainless steel pots and pans have burn marks and scorches. But with a simple cleaning process, you would never know that those pots and pans had been boiled dry, left empty on a hot eye or had rice charred inside of them. It does take time and a little bit of elbow grease, but when you are done, your pots and pans will shine like new. 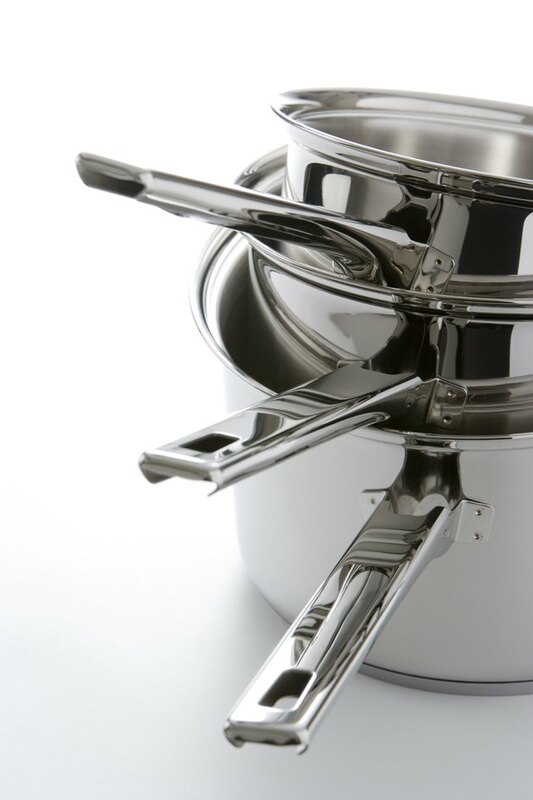 There's no need to toss stainless steel cookware that has burn marks because you can get them looking like new again. Sprinkle dishwasher detergent in the stainless steel cookware and fill to the top with water. Place them on the stove on medium high until the water boils, then remove from the heat and let sit overnight with the detergent and water inside. This will remove or loosen any burned-on pieces of food and help begin removing the scorched burn marks on the inside of the cookware. Fill a sink with hot water, mix in 3 cups of white vinegar and place the pots and pans in the water. Let the pans soak for a few hours, turning them every 30 minutes or so for the vinegar to work on the inside, outside and bottom of the pans. Remove one pan at a time, and with a damp sponge rub baking soda into the pan. Using a circular motion and keeping the sponge damp, you should leave a thick baking soda paste all over the pan, inside and out. Place the pan on a paper towel upside down until the paste is dry. Rinse the pots and pans in the water and vinegar mixture. Don't be alarmed when the baking soda and vinegar begin fizzing, which is an important part of the process. Drain the water from the sink and scrub the pots and pans inside and out with the scrubbing part of the sponge, then rinse well and dry. Your cookware should be shiny and scorch and burn mark free.